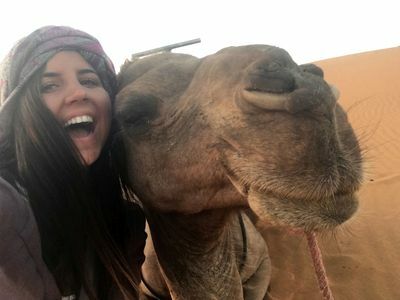 Camel trekking in the Sahara Desert during my study abroad in Morocco with ISA. My camel and I became fast friends and took tons of selfies together. That night, my group slept under the stars (we could even see the milky way) -- it was surreal. Harris, Samantha, "He nose he's cute!" (2016). Study Abroad Photo Contest. 55.